You offer great services and understand the needs of your target audience better than your competition. Cool, but in order to see more business coming your way, you need to find ways to generate leads. This is a challenge that you have to take on and overcome if you want to outreach competition and see your organization grow. You need to convince people to come to you for their problems because you have the right solutions. Take a look at the following staffing firm lead generation tips to build a healthy business pipeline. One of the most effective staffing firm lead generation strategies is using testimonials. Nothing is going to convince potential leads more than seeing previous or current clients and candidates talking about the difference of your services. Every time people you did business with recommend and encourage others to turn to you in order to address their pain points, your company is given a great endorsement to win more business. Ask customers and applicants to give you a testimonial on the positive experience they had with you and post it on your website and LinkedIn company page to demonstrate that working with you means meeting expectations. If you haven’t realized yet, your social media is a great tool not only to build brand awareness, but also to boost your staffing firm lead generation efforts. Once you have identified your target audience and you have determined the proper social media platforms to reach out to them, you need to share content that speaks to their needs and increases engagement. From industry related news to blog articles, share information and direct traffic to your website in order to generate more leads. Participate in social media discussions to gain more followers and build an online presence. Be careful not to talk only about your company’s excellence, but rather offer real value to your audience. A common misconception in business is that simply attending an industry event or a trade show is going to automatically generate leads and help a company grow. It is not so easy. Events offer a unique opportunity to expose your organization to new leads and educate them about what you bring to the table. In order to get the most out of your event attendance, you need to establish a solid strategy on how to engage with prospects, generate leads and more importantly how to follow up on your leads. Remember that this last part is where most of firms drop the ball. Sit down with your team, identify the right events for your company and develop the plan of attack. Your website must be at the heart of your staffing firm lead generation efforts. From email marketing to direct mail to social media campaigns, all your marketing initiatives must direct people to your website for more information about your services. Once they get on your website use forms to capture their data and if you direct them to specific landing pages be sure to have call-to-action buttons for them to take further action. Create and offer gated content like white papers and case studies in exchange for information from prospects. Your website is the place to capture all this data. The only way to know whether your staffing firm lead generation tactics produce the return on investment (ROI) you anticipate is by tracking everything. Only then can you measure success and take corrective action. 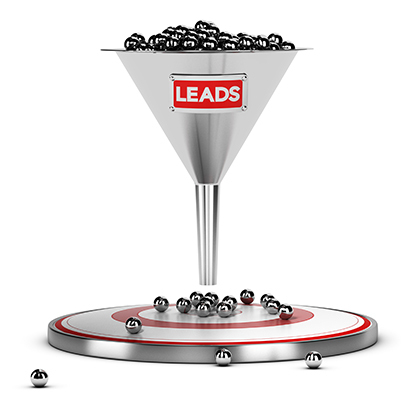 How many leads came in from your last email campaign? Is your social media strategy bringing in more prospects? Which website pages see more traffic? This is valuable information you can’t afford to ignore. Tracking the responsiveness and activity of prospects to your lead generation strategy allows you to better talk to their interests and increase engagement.